On Friday, Chinese President Xi Jinping congratulated an American professor for publishing a book about China. The book, "Off the Wall – How We Fell for China," is compiled of roughly 50 letters detailing his life in Xiamen in Southern China. The economist He Fan now has a new book, Momentum: An Ongoing History of China from 2019-2049 Vol 1: 2019. 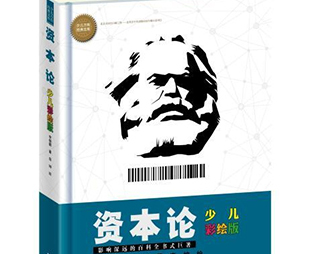 A colored child-edition of "Das Kapital" has been honored as one of the 24 best Chinese children's books of 2018. Lin Ching-hsuan, a Taiwan-born writer gaining popularity across the Straits, died at the age of 65, according to Taiwan media. A four-volume anthology of modern Chinese lyrics was released in Beijing recently. A Children's Literature Festival was inaugurated in Myitkyina, Myanmar's Kachin state on Sunday, aimed at nurturing children and instilling in them the love of reading, the official Global New Light of Myanmar reported on Sunday. China had 225,000 bookstores and sales outlets for books at the end of 2018, a 4.3 percent increase from the previous year.